Police nab 11 suspected kidnappers, robbers, drug addicts - BlogIT with OLIVIA!!! ABIA State police has arrested eleven persons suspected to be involved in kidnapping, armed robbery and dealing in hard drugs. Three of the suspects were arrested for kidnapping, two for armed robbery, while six were ar­rested for hard drug. The suspected kidnappers ar­rested over the weekend includ­ed Bright Nwokengbe, Gomba Kaji and John Onyemuwa, who were alleged to have abducted a Yoruba man in the city. While Nwokengbe was arrested in Port Harcourt, Rivers State, his al­leged accomplices were nabbed in Aba.Onuoha Okpani and Jeremiah Kalu who claimed to be com­mercial drivers were arrested at Umukalika axis of Aba for alleged armed robbery. 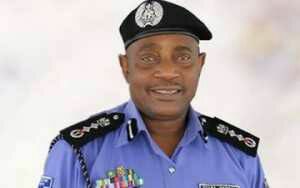 Parading the suspects at the Special Anti Robbery Squad (SARS) office in Aba, the state Commissioner of Police, Joshak Habila, said most of the kidnap­pers in the state particularly, in Aba come from border communities. ­“Most of the kidnappers are now coming from communi­ties that share border with Abia and other states. We have been cooperating with the po­lice in those states and one of the results is what you have seen today (Saturday)” he said. Habila said his command had a new road map it has em­ployed to reduce crime, espe­cially, kidnapping in the state and expressed joy that the woman who had been provid­ing the kidnappers’ food and other needs had been arrested and their hideout taken over by government. CP Habila advised criminals in the area to renounce their trade and return to real life to add values to the society, stressing that police in the state would not take it kindly with any person arrested for criminal offence.He advised the public to al­ways volunteer information to the police, promising that such information would be treated with utmost confidentiality. Nwokengbe denied involve­ment in kidnapping, claiming that he was arrested in his el­der brother’s stead while oth­ers admitted to the crime.While Kaji and Onyemuwa confessed to the crime of kid­napping, saying they received N120, 000 each for passing in­formation which led to the ab­duction of the Yoruba man, to their gang members; Okpani and Kalu said they were lured into armed robbery by their friend who they described as Maduekwe (now at large) and were given N6, 000 each after the operation thyat preceded their arrest. The six drug addicts who were arrested in their hide­out within the Imo Gate axis all confessed to the crime and blamed the devil for their ac­tions.